There are a number of ways to make handmade soap. Some are ‘from-scratch’ methods and others give you ways to cut down on time and avoid having to handle lye. Each method has their pros and cons and are better for some purposes than others. That means that if you’d like, you could use a number of them in your soap making hobby or business. The sky’s the limit when it comes to getting crafty making soap. The method that I use in my soap making business is called Cold-Process. 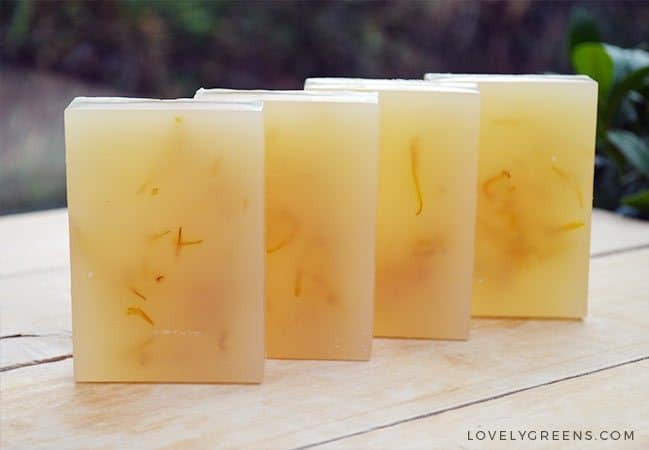 You begin with whole ingredients including oils, dried flowers, essential oils, and lye and through the wizardry of creative chemistry they’re transformed into handmade soap. What I love about Cold Process is that I’m making ‘from-scratch’ and that there are so many ways to naturally color and scent your bars. If you’re interested in learning more, links to my free 4-part soap making are below. If you have scraps of soap, either from bars you’ve made or ones you’ve bought, you can melt them into new bars. 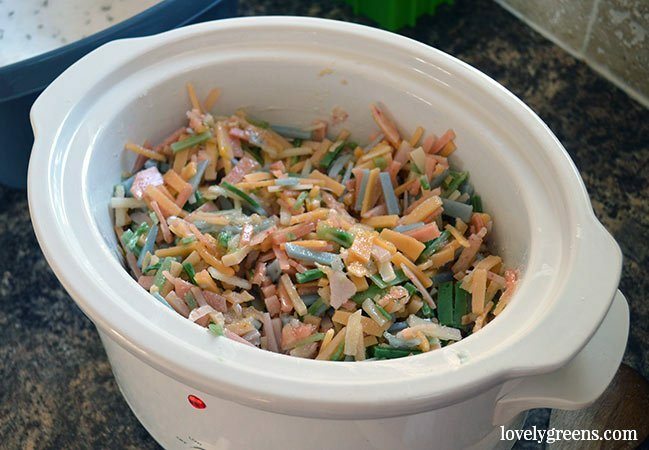 To do this, use a cheese grater to shred your soap and then melt it gently in a slow-cooker. 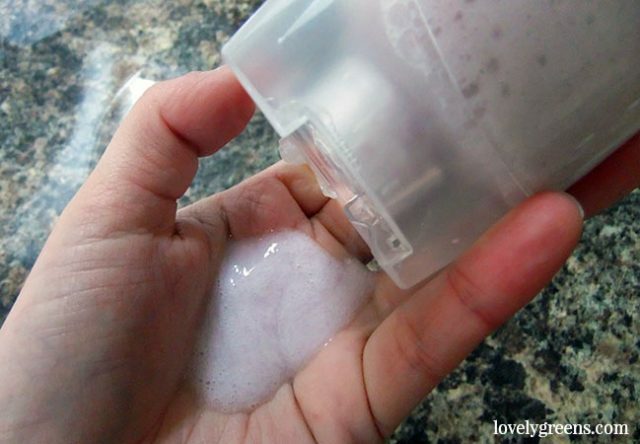 To melt it, you’ll need to add just enough liquid to your shredded soap to get it coated with moisture. A little goes a long way and you can use water, milk, tea, or coconut milk. Using ‘milks’ is said to smooth the texture of the rebatched soap so that it isn’t lumpy. When it’s melted, pour into moulds and allow to harden before cutting it into bars. 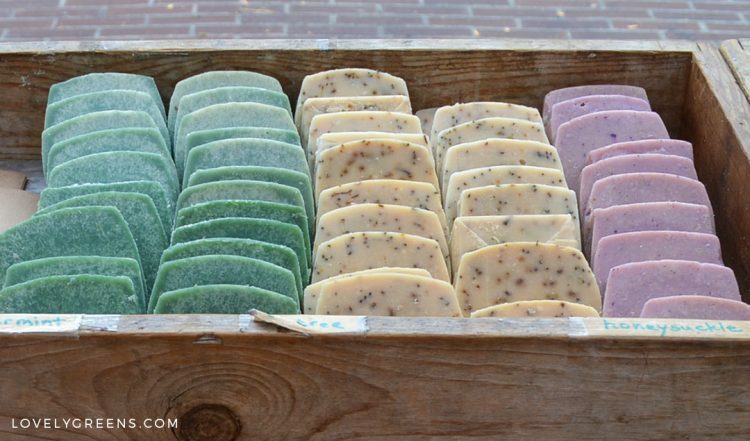 If you rebatch old soap, you can use the bars right away. If it’s a new cold-process batch that hasn’t had the chance to cure then you will need to cure the soap before using it. Melt-and-Pour Soap comes in either cubes or blocks and you can choose from clear (glycerin) soap, goat milk soap, and standard oil based soap. 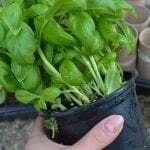 To use it, all you do is cut it into small pieces and melt it either in the microwave or over low heat. When it’s melted you can add scents, flowers, color, and extra oils and then pour it into moulds. Hot-process and Cold-process soap making are very similar in that you can use the same recipe for both. The difference is that hot process is generally made in a slow cooker and takes a lot more time and diligence than cold-process. When it’s finished, the soap is poured into moulds, allowed to harden, and then cured. Though many sources say that you don’t need to cure hot-process, you should really allow it to cure for at least a week. 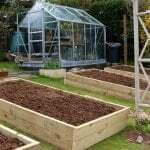 This is mainly to allow excess water to evaporate out. The look of hot process soap is generally rustic and textured — if you want smooth bars, stick with cold-process or melt-and-pour. Here’s a great guide to Hot Process Soap Making. The main difference between cold-process soap recipes and liquid soap recipes is the type of Lye that’s used. In cold/hot process you use Sodium hydroxide and for liquid soap making you use Potassium hydroxide. 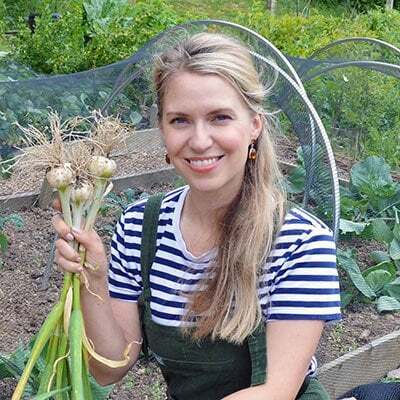 A lot more of it than you would expect too — while cold and hot process generally have less lye than is required for the oils in the recipe, liquid soap needs 10% more than is required! This excess lye needs to be neutralized in the soap making process which makes things a little more complicated. For an easier way to make liquid soap, I have a tutorial on how to grate bar soap and liquify it using water. 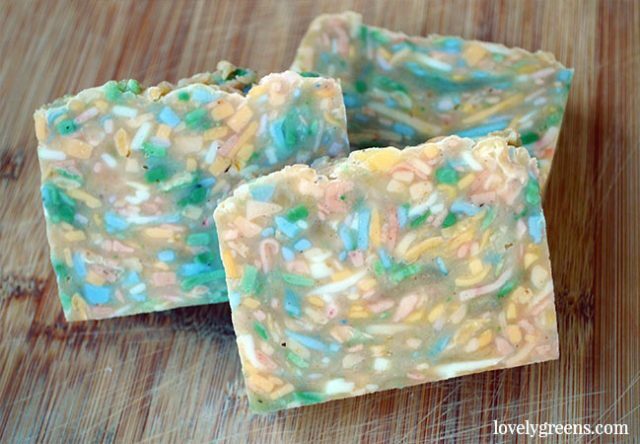 It’s quick, easy, and it’s a great way to make use of soap scraps. Fun, frugal, and infinitely practical, soap making is an art form where the potential ingredient combinations are practically endless. Using naturally skin-nourishing components, handcrafted soaps are enriched with vitamins, minerals, and beneficial oils that won’t’ dry out your epidermis like store-bought soaps have a tendency to do. Hi Tanya, just would like to know if the soaps as safe to use on face ? Most natural, handmade soap is fine to use on the face. Sensitive recipes with a decent super-fat (extra oils) are probably best though. Making natural soap is great, and producing your own soap is enjoyable and hassle-free to learn. 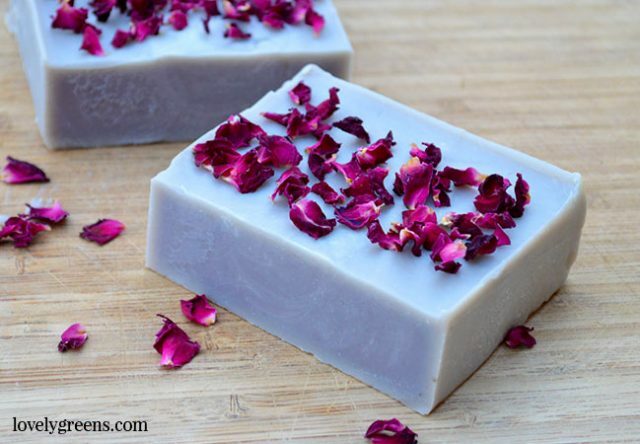 What’s great is that homemade soap is all natural; there aren’t nasty chemicals in it. Soap you buy from the shop is classed in the form of “synthetic detergent”, it’s not real soap it’s created from chemicals and is mass produced. When you start making natural soap it’s vital that you learn the basic principles. I am looking for a shampoo bar recipe for naturally curly hair. Do you have any suggestions? Hi Dana — I don’t have any to recommend on my site and I’ve actually not tested the shampoo bars I’ve made on curly hair. Sorry I can’t be of more help!